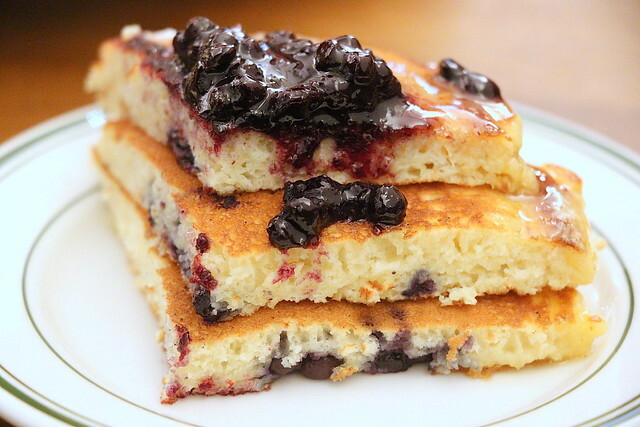 The signature Pancakes with warm maple butter (S$18) have been voted "Best in the City" twice by New York magazine. These are made extra fluffy and flavourful from the use of whipped egg whites as well as American flour. You can choose from wild blueberries, banana walnut or chocolate chunk toppings. But the absolute highlight is the housemade maple butter, using real maple syrup from Canada. I would happily pay for extra servings of this. The pancakes are a little on the dense side. While I have had softer and more fluffy versions in the United States, this one is clearly made of better batter compared to most of the pancakes in Singapore. 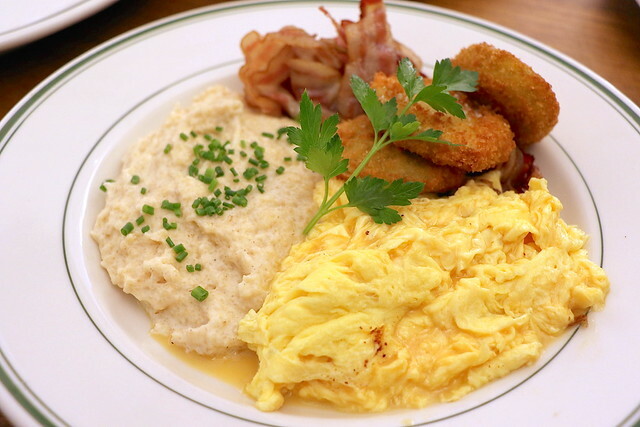 I was also pleased to see a Southern Breakfast (S$18) - two eggs any style, velvety cheese grits (with Monterey Jack and Cheddar), panko-coated fried green tomatoes (from California) and sugar-cured double-smoked bacon. This is an extremely hearty breakfast. The barley grits taste a bit like oatmeal but I like the savoury aspect. I would love a stronger cheese profile but it is already very filling. 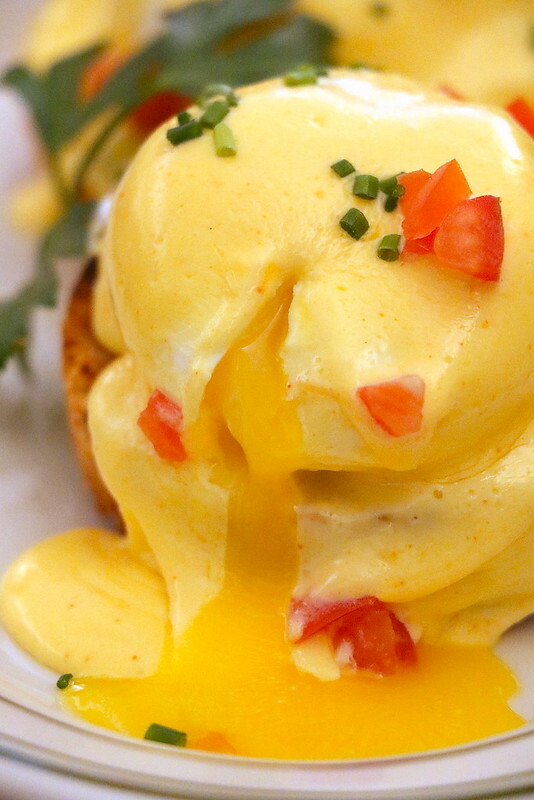 The silky scrambled eggs are the best part. 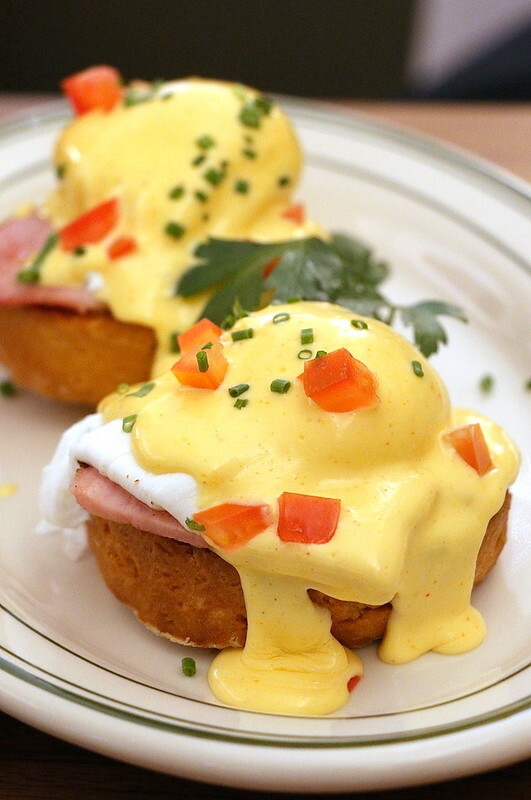 Eggs Benedict (S$20) fans will be pleased with these two mounds of poached eggs in housemade Hollandaise sauce and maple-cured ham enlivened with tabasco and lime. What makes them truly different is the chunky toasted buttermilk biscuits they sit upon. They are heavy but a delightful change from the usual English muffin or brioche. 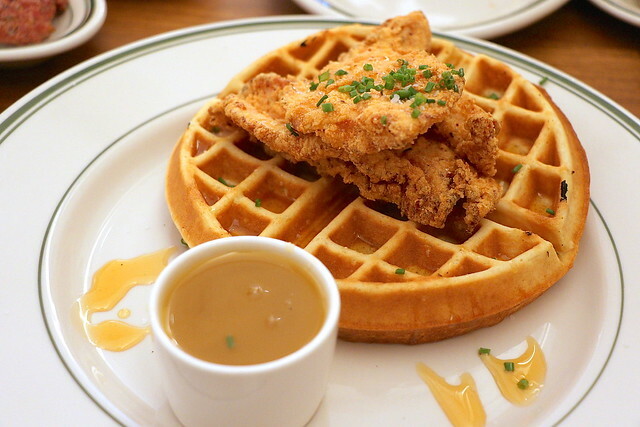 The other thing they are famous for is the Chicken & Waffles (S$21) - buttermilk fried chicken and Belgian vanilla buttermilk waffles served with honey tabasco sauce and warm maple butter. It's chicken breast sliced rather thinly coated with cornmeal and a secret mix of spices. But I found this to be a little too dry, maybe because the thin slices lose moisture when deep-fried. The chicken also may be a little too bland for the local palate that prefers stronger flavours. The waffle is also not as light and crisp as I would have liked it to be. They do have a Buttermilk Fried Chicken Dinner (S$25) which uses a combination of drumstick, thigh meat and breast meat. 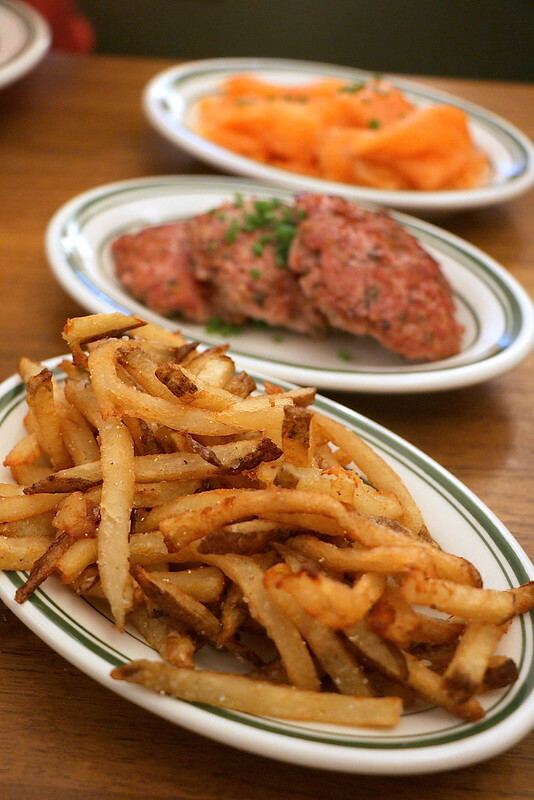 Side dishes include hand-cut fries (S$7); rosemary pork sausage (S$7); and house-cured salmon (S$12.50). I liked the sausage as the rosemary brought out the meaty flavour. But if you hate rosemary, this would be a deal-breaker for you. The fries are twice-fried but some of them are still a little too oil-sodden for me. Salmon was a bit salty today. Desserts include cakes and pies. 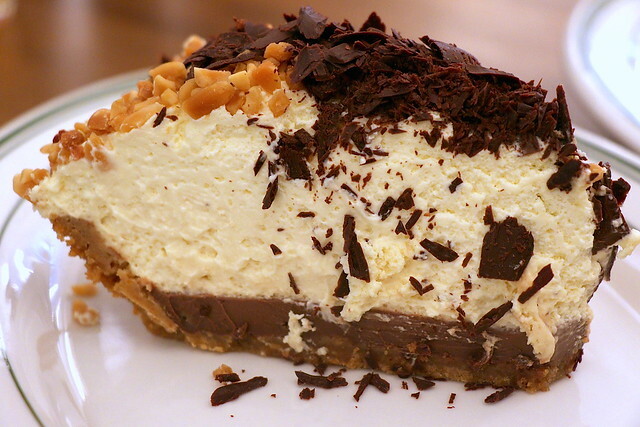 The Peanut Butter Ice Box Pie (S$9.50) is named after the ice boxes used to store them in pre-electricity days. 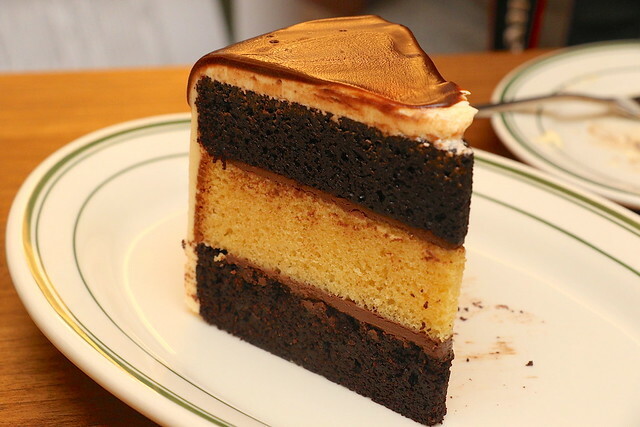 It's made with Chantilly cream, peanut butter-cream cheese mousse, chocolate ganache and graham cracker crust. It really isn't as heavy as it looks; the mousse is very light. 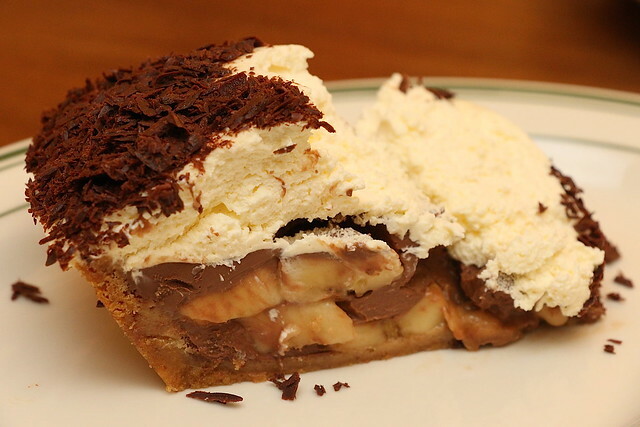 Chocolate Banana Cream Pie (S$9.50) has slices of fragrant banana in bed with chocolate ganache, generously smothered with Chantilly and Boston cream. You can't go far wrong with chocolate and banana. The classic Black & White Layer Cake (S$9.50) features triple layers of alternating chocolate and vanilla cake topped with dark chocolate glaze. It's not bad but the recipe must use a fair bit of baking soda; it was a bit cloying on the tongue. OK, this is awesome. 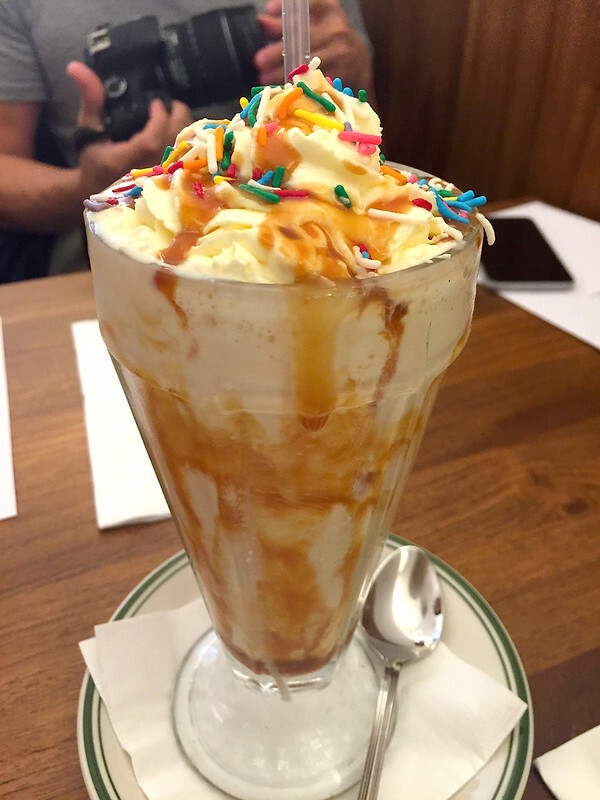 The huge milkshakes are made with ice cream, heavy cream and milk, and topped with Chantilly cream. The Chocolate Peanut Butter (S$10) sounds good, but I just had to try the Boozy Salted Caramel (S$15) made with a generous splash of bourbon - whoa, it's strong! You could also go for Wild Blueberry (S$10) or Root Beer Float (S$10). They have other drinks as well - juices, draft and craft beers, soft drinks, coolers, wines and a small selection of cocktails (Mimosa, Bellini, Mojito and Bloody Mary). What started as a mom and pop little store simply focusing on best baked goods, handmixed in small batches is now a phenomenon that's crossed the Atlantic. Founders Neil Kleinberg and DeDe Lahman probably never dreamed it would come this far, but hey they'll be here next week to see it for themselves. The kitchen team here trained in the US. 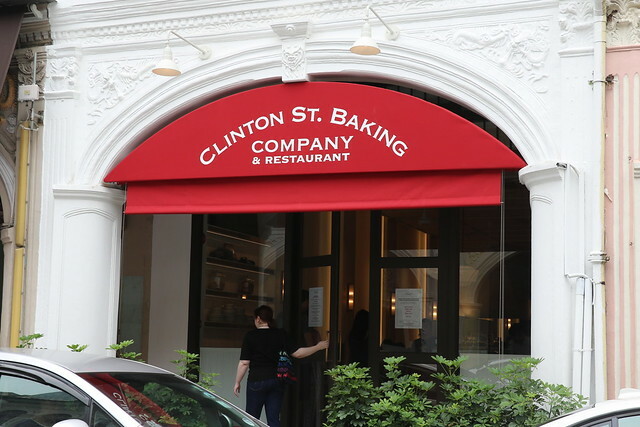 While the franchise here does try to keep to the standards that made Clinton St Baking Company legendary, it looks like they may need more time to master some details. I'd still like to come back and try the other items on the menu - Huevos Rancheros, Seafood Po'Boy, Salmon Burger.